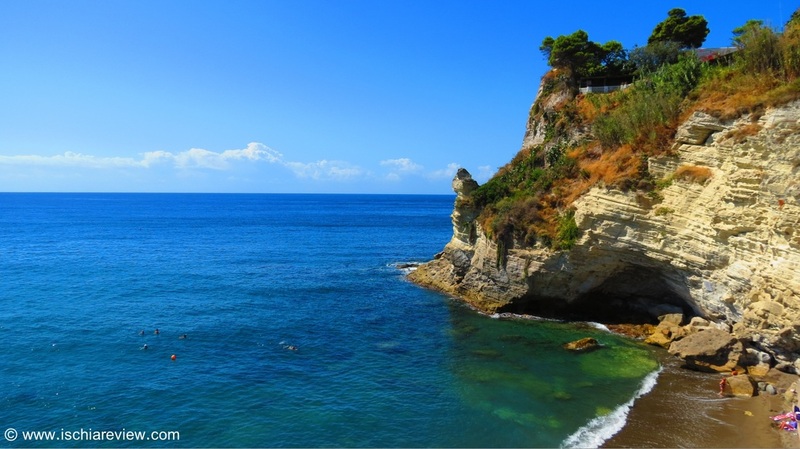 Guide to beaches in Sant'Angelo Ischia with photos, descriptions and directions to each beach. 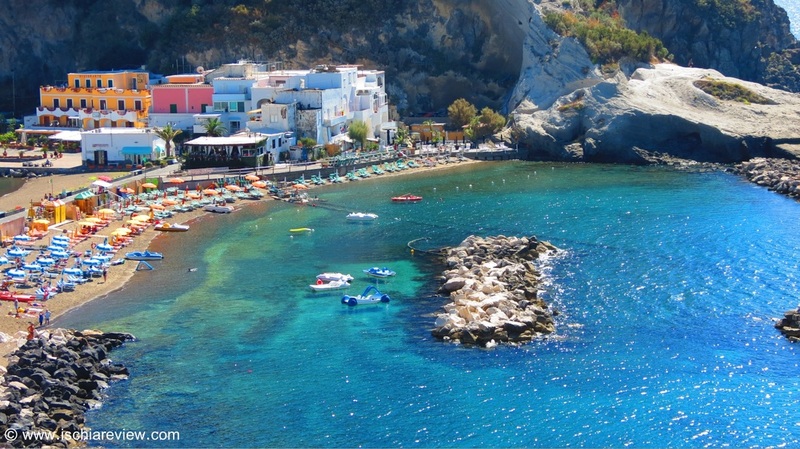 Chiaia di Rose is the beach that sits in the centre of the village of Sant'Angelo. There are two beaches, one of which is completely free and plenty of places to hire canoes or pedaloes. Le Fumarole Beach lies a ten minute walk away from the centre of Sant'Angelo. It can be reached via a beautiful scenic path with views across to the neighbouring island of Capri. Cava Grado Beach is just outside the centre of Sant'Angelo. Walking in the direction of Succhivo it takes around 10 minutes to reach this beautiful little cove with its crystal clear water.